1 How to treat a canker sore? 2 What is the best canker sore medicine? 2.6 What mouthwash solutions be used to treat and cure canker sores? 5.1 How long do canker sores last? 5.2 How to get rid of canker sores overnight? 5.3 Are canker sores the same thing as cold sores (fever blisters)? 5.4 How does lysine work on for canker sores? 5.5 Can you get canker sores on your gums? 5.6 How to stop canker sore pain? 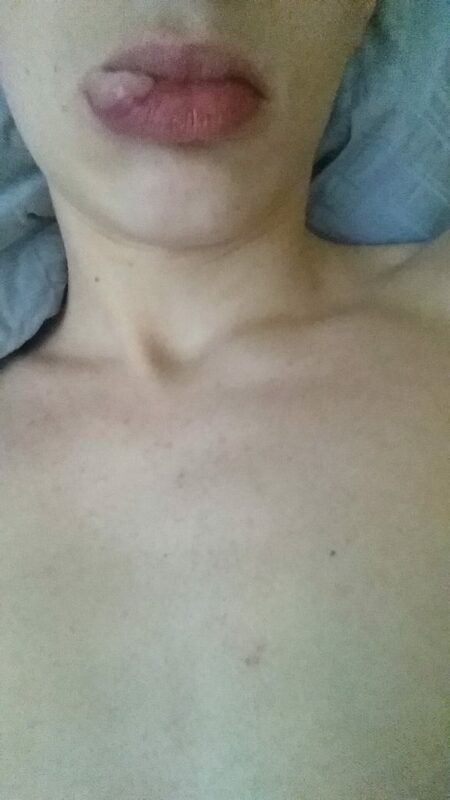 5.7 Does peroxide work on a canker sore? 5.8 How to deal with severe canker sores? How to treat a canker sore? Canker sores also called aphthous ulcers or mouth sores, could be very unpleasant, painful and may require a long treatment time and a high-quality canker sore ointment. The small canker sores (also known as mouth sores) recover for about a 10 days without leaving a scar. Larger ones require a longer treatment period and can leave you with a scar. Mouth blisters often disappear on their own, although you can influence the healing process by some Over-The-Counter treatments, which aim to speed up the recovery process. The small ulcers that appear on the inside of the lips, mouth, gums, oral cavity, as well as the tongue, can be effectively treated with various remedies, some of which are listed below. Wondering which the best canker sore treatment is? In this article you will find the best canker sore medicines, providing the fastest healing effect (including complete ingredients’ lists, reputation among patients, and clinical trials – if available). What is the best canker sore medicine? The active ingredient in this canker sore medicine is carbamide peroxide, which is used to speed up the treatment process and soothe the irritations inside the mouth because of its’ strong antibacterial properties. 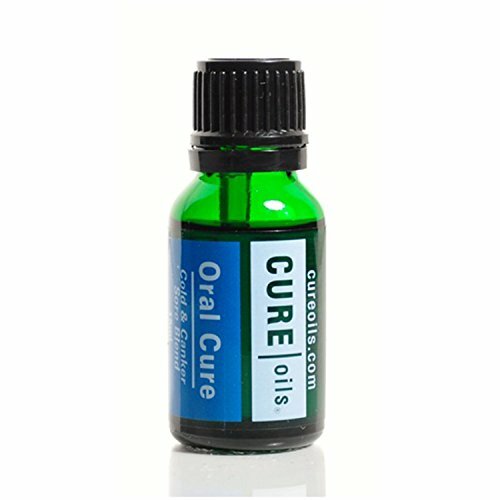 The product has excellent reviews, reporting that it helps heal mouth ulcers, as it works wonders for any sort of oral infection, according to the people’ comments. People are also satisfied with the price of this canker sore medicine, as they get a pack of 2 oral cleansers. What is really impressive about this canker sore ointment is the absolute lack of negative reviews. What is more, the good reputation of this product is preserved for years. Zinc soothes mouth injuries like mouth sores heal faster; folic acid promotes cell reproduction; clove will help numb the pain; and myrrh is often used as a mouthwash to treat various types of mouth and gum ailments, including sore gums, bad breath, and canker sores treatment. Unfortunately, there are very few reviews about this canker sore medicine but the good news is that the published ones are very positive. The mouthwash has no chemical colors, no preservatives, no additives. It is said to be the best cure for canker sores with all natural ingredients. It can even be used every day, as it has no negative effect on the mouth cavity and keeps the teeth and gums healthy. After purchasing the product, you should simply gargle Vita-Myr Natural Mouthwash for great cleansing action and fresh breath. 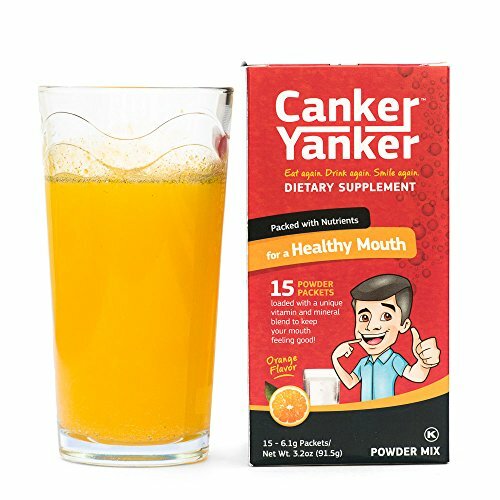 Canker Yanker is a nutritional dietary supplement. It contains multiple vitamins, amino acids, and loads of other ingredients promoting the healing process. What you should do is to pour one packet into 6-8 fl. oz. of cold water and mix well, then wait until the effervescence ceases before drinking (1 pack contains 10 calories). In general, this canker sore treatment would resolve the problem with canker sores for people with nutritional deficiencies, but there are also loads of negative comments, informing that Canker Yanker has temporary effect only or does not work at all, so apparently it depends on the individual. Canker-Rid is another nominee for most effective canker sore medicine available. It has almost 1000 reviews, almost 80% of which describes it as an excellent product. The description says that the pain from the sore will stop almost immediately. The basic ingredient is propolis a naturally-occurring bee product) which is proven to be very effective canker sore treatment . Patients advise using a Q-tip for the application, as the substance should be applied to the canker sore. 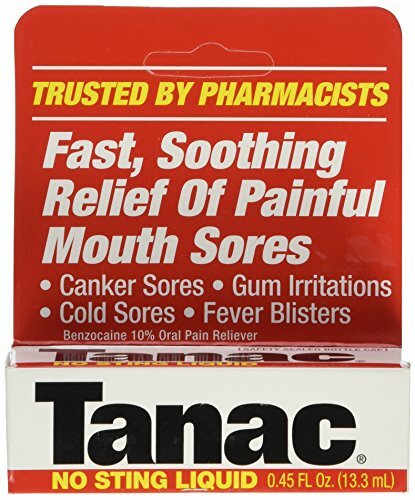 Tanac is another liquid formula, which not only does this product relieve pain, it actually shortens the duration of mouth sores. Almost 90% of all patients suffering from mouth sores rated the product excellent, there are people who have used this for years. According to multiple reviews, it does not have a great taste and provokes a stinging sensation when applied, but is an indeed efficient cold sore medicine. People with chronic canker sores, who have tried various home over the counter canker sore treatment products, prescription antivirals (both topical and pill form) swear by this formula. It immediately numbs the pain, associated with canker sores and quickly shrinks the ulcers. How to get rid of canker sores on gums? The gum tissue can also get affected by mouth sores. The ulcers are usually round-shaped, swollen and quite painful. If left untreated, they often heal on their own within 2 weeks. The treatment process can dramatically decrease with the help of topical anesthetics you can purchase over-the-counter, as well as antimicrobial mouthwashes. An additional benefit is that such over the counter canker sore treatment options provide a temporary pain relief, which is an indeed positive aspect in case your mouth ulcers appeared on your gumline. According to the reviews available, this formula does not the sweet aftertaste most mouthwashes do and is very beneficial in case you experience swelling and soreness. 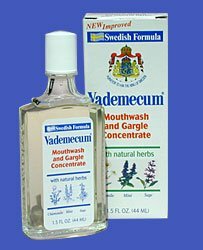 Patients with cold sores claim to experience immediate relief and visible improvements in their condition after using this Vademecum mouthwash concentrate. The product is sufficient for prolonged use as it is compact, condensed and concentrated, unlike most formulas that won’t last a month. It is a considerably effective canker sore treatment, according to multiple reviews. My parents cannot live without this. introduced to my mother by my father who bought this in Germany. Been buying this in the states since the 70s. This oral rinse is another potent formula, aiming to be the best canker sore medicine when it comes to sores on the gums. What is important about this mouth sore remedy is that it will prevent further development of mouth ulcers. This is possible thanks to the essential oil complex, included in the formula. Most of these oils stimulate the healing process while reducing the inflammation in the area affected. As the mucosal tissue, forming the gums is very fragile, it can be easily irritated by the chemically-derived ingredients, containing in most canker sore treatment products. 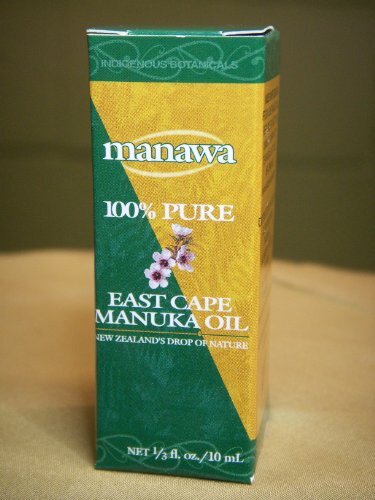 This is why this manuka oil is getting more and more popular among patients with mouth ulcers. Manuka oil is clinically proven to have antibacterial, anti-fungal, anti-inflammatory, anti-histaminic, anti-allergenic. cicatrisant properties, which makes it a very suitable canker sores treatment. As expected, people use manuka oil for various purposes, as this natural substance has an extremely strong healing effect. 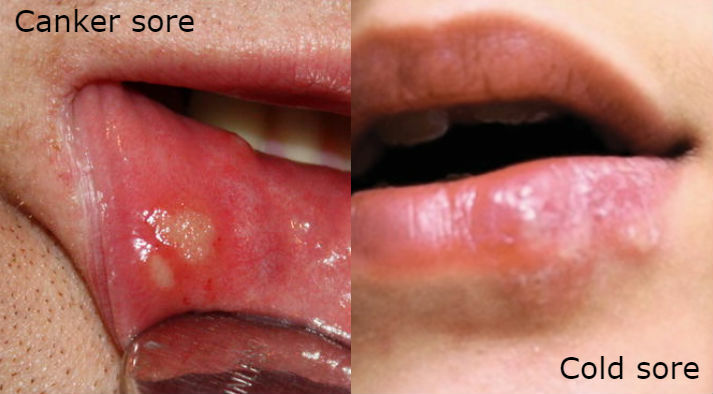 Almost 90% of those who tried the canker sore medicine are extremely satisfied with their results. 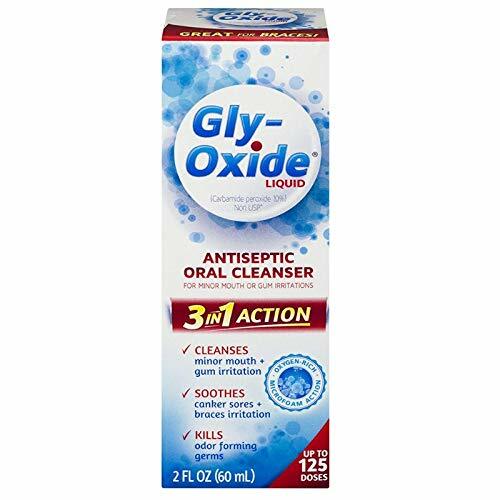 Cuts, insect bites, gargle, everything! Is concentrated so beware; sometimes it’s best to dilute on skin. How to treat canker sore on the lip? Canker sores often affect the lip area. The problem is that they often get confused with cold sores (small, painful, fluid-filled blisters or sores that appear on the lips, mouth, or nose that are caused by a herpes simplex virus). Another important thing to remember is the fact that canker sores, appearing on the inside of the mouth cannot be transmitted by contact with other people, unlike cold sores, which are highly contagious. The treatment of canker sores inside the lip is the same as the medicines used for the lesions, appearing anywhere inside the oral cavity. 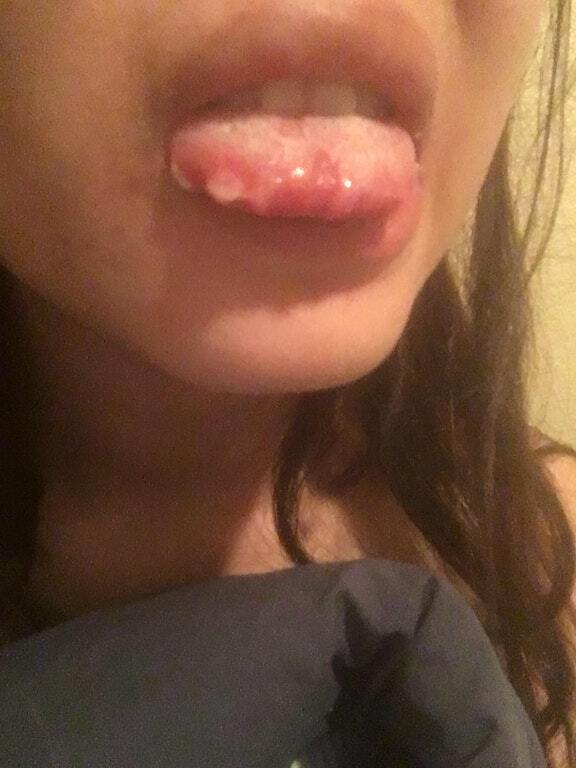 How to get rid of a canker sore on the tongue? Canker sores, affecting the tongue can be extremely painful and swollen, as the area is more sensitive (a large number of nerve endings on the tongue makes it more prone to irritations and ulcerations). Canker sores in the oral cavity can be provoked by multiple triggers – allergies, injury, infection, even stress. However, the most common factor, leading to the appearance of canker sores on the tongue is the systemic injuries (when we accidentally bite the tongue) and a bacterial infection develops. The problem can also occur due to improper oral hygiene (if you don’t brush your teeth regularly or even if you overbrush them). If your canker sores appeared on the tongue, it highly recommended to avoid acidic or spicy foods – they may be the initial trigger of the problem, while the supplementation of vitamins and minerals is crucial for the healing process. Studies suggest that people who use mouthwash 2 times a day visit the dentist less often than those who skip this mandatory last step in dental care. What is more, most mouthwash formulas have strong antibacterial, anti-inflammatory and analgesic properties, all of which are extremely important for the elimination of canker sores. The regular use of mouthwash, however, should be done as directed. It is good to use mouthwash as a final step in washing your teeth in the morning and in the evening. This way, you will be able to completely remove the food residue that you couldn’t clean with the toothbrush and the toothpaste. You can also use it at any other time of the day to refresh our breath. It is important to remember that mouthwash does not replace the effect of the toothbrushing. In the dispenser (usually the lid of the pack), pour the amount indicated in the instructions, if necessary dilute with some water (for the concentrated formulas). Once you pour the amount into the oral cavity, you should gargle between 30 seconds and 1 minute, trying to reach the back teeth, the tongue, the roof of your mouth and the ligaments. Finally, you should spit out the liquid substance. For maximum effect of the formula, it is recommended to wait at least half an hour before consuming foods or drinks, including water. Sage herb has strong anti-inflammatory properties and has a proven beneficial effect on mouth irritations, sore throats, mouth disease, and ulcers. 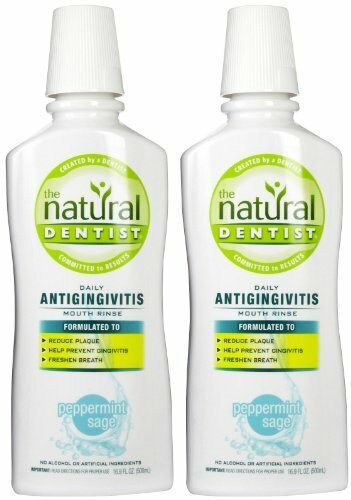 This daily mouthwash is suitable for everyday use, it prevents the bacteria spread, while the 100% natural ingredients in the formula won’t provoke adverse reactions or irritations in the mouth cavity. According to many, this is one of the best canker sore treatment options, as the annoying ulcers appear less often. 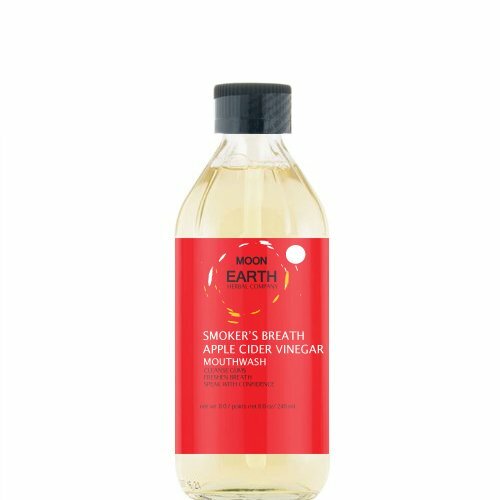 This mouthwash is initially developed for the reduction of bad breath, following smoking. But wait, there’s more – apple cider vinegar is clinically proven beneficial when it comes to canker sores treatment. It has the potential to be the best cure for canker sores of 100% natural origin. It will shorten the healing time, reduce the painful sensation in your mouth, eliminate the bacteria and, last but not least, it will keep your breath fresh. You might have heard about the effect of certain home remedies on the mucous membrane’ health. But the important question is which is the most effective remedy for canker sores? The ingredients listed are thought to have a good impact on most mucosal infections. Compared to canker sore medicines, they have a milder effect. They are easily found, contain no harmful chemicals and are tested by multiple patients with canker sore infection. Even if it seems a bit trivial, baking soda is the first choice canker sores medicine, usually available at your kitchen, as it provides immediate relief and reduces the swelling, following canker sore. This is due to the ability of the baking soda to neutralize acidity. Directions: Combine 1 teaspoon of baking soda with distilled water to get a paste. Stir well and apply to the mouth ulcers with a Q-tip or clean finger. Wait 10 minutes and then rinse your mouth with lukewarm water. Repeat the procedure four times a day. This is another awesome ingredient, which we added to our best canker sore treatment article. Unfortunately, you may experience some stinging sensation at first but the effect comes almost immediately. Alum powder is used to dehydrate the ulcers, letting them heal faster than they usually will. Directions: Dilute a very small amount of alum powder (1/8 of a teaspoon) into some water and make a paste. Apply the canker sore ointment to the area affected, using a Q-tip. Leave it for 1-2 minutes, then rinse carefully. The next day, repeat the same procedure (the sore should disappear after 2-3 consecutive applications). This canker sore treatment method helps to reduce the inflammatory process in the mouth. The first few mouth rinses with salt water will not be your most pleasant experience, but it will quickly reduce the infection and pain. This is probably the easiest way to remove mouth ulcers, as salt can be found in every kitchen. It is best if you have sea salt or Himalayan salt. Salt canker sore treatment will extract the liquid from the inflamed aphtha, which will help them disappear more quickly. Directions: Mix half a teaspoon of salt into a quarter cup of warm water. Make a gargle with salt water by holding the liquid on the aphthae. Repeat four times a day. Yogurt is a nice option when you have mouth ulcers. It might not be the best canker sore medicine but at least it’s delicious enough and it won;t irritate the mucosal tissue. It contains acidophilic cultures that can treat and prevent the appearance of further aphthae in the oral cavity. At least four tablespoons of yogurt per day are needed to prevent the infection to reoccur. To treat aphthae, it is necessary to consume 400gr yogurt a day. Avoid foods that provoke increased sensitivity or allergic reactions. They may further aggravate the condition. Occasionally, mouth ulcers may form as a result of gluten intolerance. Honey contains vitamins and minerals, and its antiseptic properties help to quickly cure aphthous stomatitis. The sweet bee product is believed to be the best canker sore medicine of natural origin you can easily find in your kitchen. In case you decide to use honey as a remedy against painful canker sores, prepare for a little more pain. Directions: Apply 1 teaspoon of honey to and around the aphthae. Leave it for a few minutes (the pain will not last so long). Rinse your mouth with lukewarm water and repeat the procedure twice a day. It is recommended to use crystallized honey rather than liquid. Coconut oil has an antifungal and antibacterial property and is, therefore, an effective mouth sore remedy. Try to find organic coconut oil, because its effect will be faster and no adverse reactions will follow. Directions: Apply the coconut oil to the aphthae several times a day using a Q-tip or clean finger. Also “rinse” your mouth twice a day, consuming 1 tablespoon of coconut oil and holding it in your mouth. You can prepare a homemade mouthwash from equal parts of water and 3% H2O2. Use regular rinsing with the so-prepared canker sore medicine – it will help you to get rid of bacteria and microbes. It also relieves small inflammations in the mouth, canker sores and swollen gums. An additional benefit is that it also removes the bad breath. Do not swallow! This is the liquid suspension of magnesium hydroxide. Just soak a cotton swab and apply it to the area affected (3-4 times a day) until the ulceration heals completely. Milk of magnesia is a great mouth sore remedy when applied in combination with hydrogen peroxide as it immediately reduces the pain while promoting the healing process. Chamomile has a soothing effect on the mucous membranes, including the lining of the mouth. Strong chamomile tea or a mild tincture can be used for gargling, 3-4 times a day. You can also soak a cotton swab in the chamomile tea and apply it on the ulcerations – you will experience relief from the pain, while the canker sore will start healing. The herbal canker sore treatment has been used from centuries and the positive effect was proven by previous generations. The active ingredients of this natural canker sore medicine stimulate the immune system and help remove aphthous stomatitis. Dilute 1-2 drops of echinacea tincture into a glass of filtered water and use the solution as a mouth rinse 2-3 times a day. The problem will be completely eliminated within a couple of days. Zinc deficiency is a common cause for the appearance of mouth ulcers. The natural healing properties of zinc make it a great canker sore treatment while eliminating bacterial infections. So, zing lozenge will make your ulcerations heal faster and become less painful. Many canker sore sufferers claim that sucking zinc lozenges dramatically decreases the pain and discomfort, caused by canker sores. B-complex is proven to have a strong impact on the immune system and its’ proper functioning. Daily supplementation of vitamin B-complex is proven to reduce the number and duration of mouth ulcers, while it also helps reduce the painful sensation. People with B-complex deficiency and recurrent canker sores have dramatic improvements after a course of B-complex intake. The breakouts, the healing time and the number of lesions decreased after their therapy course. Deglycyrrhizinated licorice or DGL helps heal recurrent canker sores. 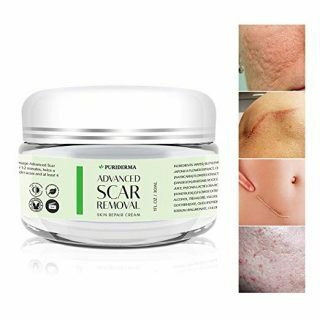 According to a clinical trial, the treatment period after DGL supplementation decreases and the discomfort, associated with the painful sores, almost disappears, as it helps soothe the irritations. DGL is available in the form of chewable tablets, the treatment period usually lasts only a couple of days. Watermelon Frost is a popular Chinese canker sore medicine, showing multiple benefits in the treatment process. According to patients, in the beginning, it may leave a stinging sensation, which is quite unpleasant but will disappear within a short period of time. The price aspect is also encouraging – compared to other over-the-counter canker sores medicines, this one is cheaper and a single bottle lasts a very long time, even if you have multiple mouth ulcerations. There are patients who never travel without taking watermelon frost in their baggage. Many reviews report that the product completely eliminates the canker sore in only 1 day. There’s an impressive number of people claiming this is the best cure for canker sores so far. Rinsing the mouth a few times a day with aloe vera juice or applying aloe gel to it 3 times a day helps to restore the damaged, irritated tissues faster and reduces the inflammation. Aloe Vera Gel: The combination of aloe gel and powdered neem can also be used to treat aphthae in the mouth. Mix 1 teaspoon of aloe vera gel with a pinch of neem powder and apply the so-prepared canker sore treatment directly to the canker sores. The licorice tea contains tannins and glycyrrhizin (glycyrrhizinic acid compounds). The glycyrrhizinic acid may cause elevated blood pressure and lead to fluid retention in the body, therefore there are products in which glycyrrhizin is removed (demyelinated licorice, DGL). The healing ingredients of the root remain in the deglycerized product. A mixture of deglycerized licorice can be made by dissolving a powder in warm water and the resulting mixture is applied to the lesions on the mucous membrane of the oral cavity. Hold this canker sore medicine in the mouth for 2-3 minutes and then spit. You can also use fresh basil leaves against canker sores – take 2 full handfuls and pour them with a liter of water. Then cook the basil leaves for about 10 minutes, wait for the so-prepared substance to cool and squeeze. Gargle and rinse your mouth with the basil water. 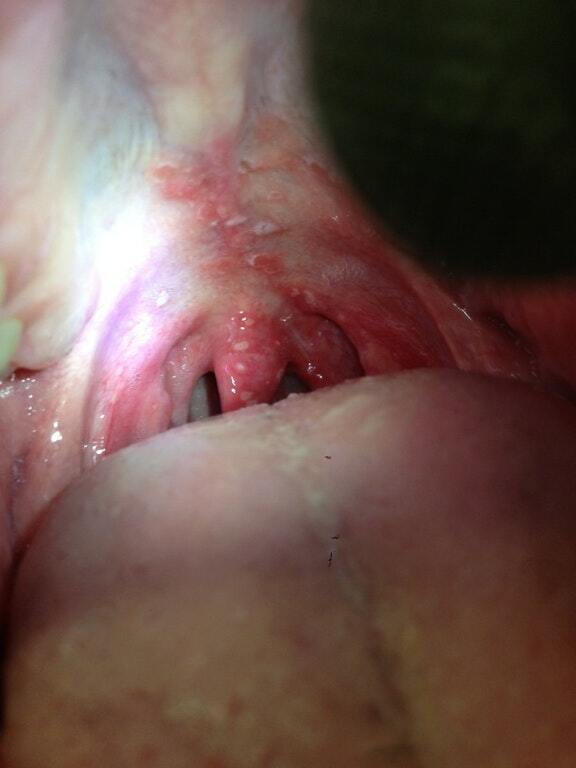 The procedure should be performed at least 4 times a day, without swallowing the liquid canker sore medicine. Chamomile has a soothing effect on the mucous membranes, including the lining of the mouth. Strong chamomile tea or a mild tincture can be used for gargling, 3-4 times a day. The mouth sore remedy has a pleasant odor and has a relaxing effect on the body. Coriander is an unexpected way to cure aphthae. The herb is known for its anti-inflammatory property and is present in many kitchens. Thanks to its strong efficacy, it is considered the best medicine for mouth ulcer in many cultures. Directions: If you have coriander leaves, boil some of them in 200-250 ml of water. Once the water cools, strain it and gargle with the substance four times a day. If you have coriander seeds, put 1 teaspoon in 200-250 ml water. Leave the liquid for a day, then strain it and gargle four times a day. Urine therapy is a very appropriate option for the healing of teeth and gum problems. Urine will dry up and make canker sores go away a lot quicker. You can either gargle or soak a Q-tip with some urine – this will quickly resolve the problem. Although it might seem very uncommon, this is a very popular canker sore treatment even for the modern society. Applying a tea bag to the canker sore provides a rich amount of tannins. The effect will be even better if you use herbal tea with high tannin content such as St. John’s wort, eucalyptus, mint, raspberries, sage. 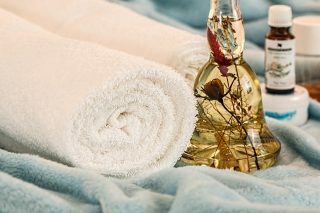 10 drops of tea tree oil are placed in a 1/3 cup of water and mixed well. Rinse mouth with the solution. This mixture has an antiseptic effect, helps heal the aphthae and prevents the secondary infection. How long do canker sores last? The evolution of the separate canker sore lasts about 6-7 days and usually disappears without leaving a scar. If multiple canker sores appear within a short period of time, they usually form clusters which may require a longer treatment period. How to get rid of canker sores overnight? The healing process depends on multiple factors. Such include genetics, immune system, environment, they determine how fast canker sores will disappear. These are different in every human being, so the complete process may take a couple of hours for some but for others, it may even take days. Unlike cold sores, canker sores are not contagious. Cold sores may be accompanied by fever (this is why they are often called fever blisters), swollen lymph glands at the neck, and general malaise. 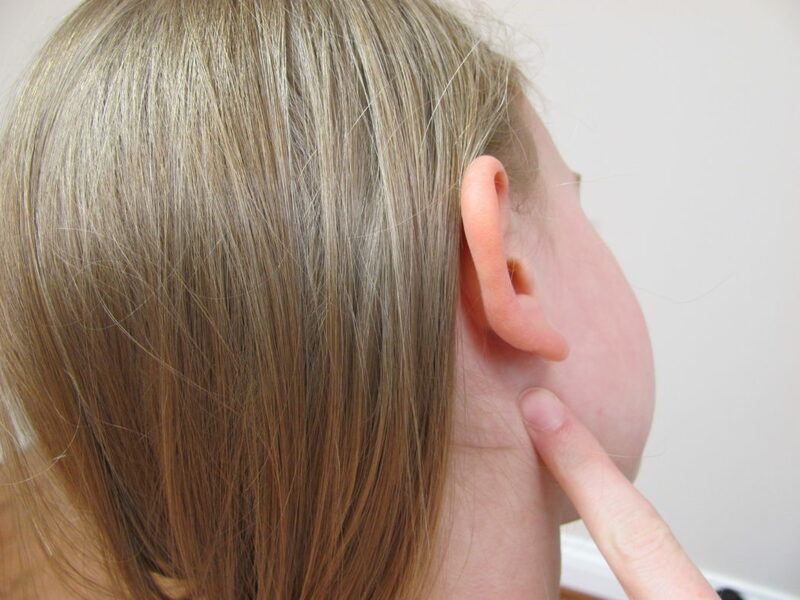 Aphthae (or canker sores) are rarely accompanied by fever and other ailments. The cause of the appearance of canker sores is still unknown, but among the suspected causes are stress, nutrient deficiency, immune system weaknesses, and allergy or food sensitivity (often provoked following the consumption of tomatoes, chocolate, and citrus fruits). The reason for the appearance of cold sores is the herpes simplex virus. After the initial elimination of the symptoms, the virus usually remains inactive in the skin until something triggers the next breakout – such as cold, sunburn, shock, dental or sinus infection or menstrual problems. There are two major strains of herpes simplex virus – type 1 and type 2. Type 1 is the usual cause of herpes, but type 2 (which is usually restricted to the genital area) can also cause herpes (cold sores) on the face. How does lysine work on for canker sores? Lysine is an essential amino acid, which is proven to promote the overall health, reducing the chances of potential infections. The so-called best remedy for canker sores eliminates the toxins accumulated in the body and is proven to diminish the severity and reduce the healing time for the treatment of canker sores. Can you get canker sores on your gums? Yes, canker sores often appear on the gum line. This can become a real torture because solid food irritates and postpones the healing process. This is why it is recommended to restrict chewing for 2-3 days and to consume soups and purees until the process of healing and regeneration progresses. How to stop canker sore pain? Most canker sore OTH medicines contain analgesic ingredients (acting to relieve pain). They usually provide an immediate effect, however, their action is time-restricted and the discomfort reappears within 2-3 hours. Another important thing to remember is that a canker sore medicine shouldn’t cost you a lot. Especially if you use natural ingredients or homemade recipes. The price difference is often caused those analgesic ingredients containing. 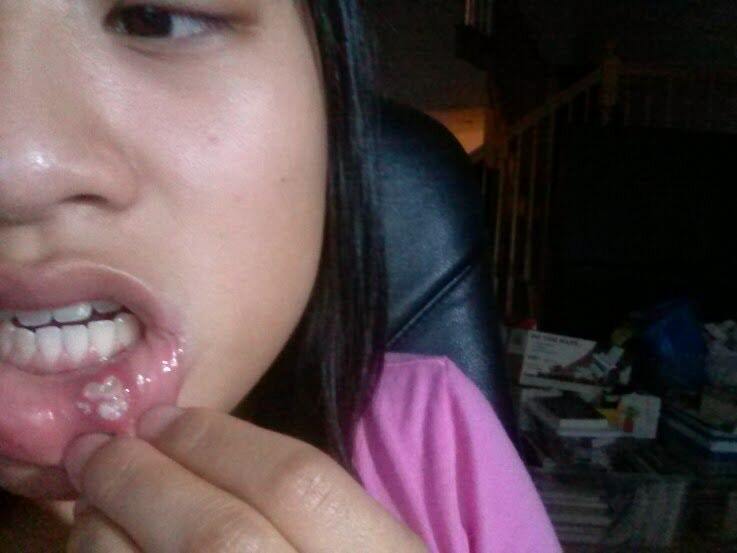 Does peroxide work on a canker sore? Hydrogen peroxide rinse will provide mild antiseptic action, which will temporarily relieve the symptoms of canker sores. You can prepare a mixture of 1:1 water and 3% hydrogen peroxide solution and rinse your mouth several times a day. How to deal with severe canker sores? Rarely, canker sores can get infected. You may experience swelling, redness and even fever. If this happens, it is recommended to go to consult a dentist, as antibiotic treatment may be required. You should not forget that not all the wounds or infections in the oral cavity are canker sores. Sometimes, they are an accompanying symptom of another disease. So when you have outbreaks that do not heal for 10-14 days, it is best to consult a specialist. Recurrent aphthous ulceration: vitamin B1, B2 and B6 status and response to replacement therapy.